The majority of patients visiting a dental office are in search of a brighter, cleaner smile. While brushing and flossing each day certainly help your pearly white teeth, you sometimes need an extra helping hand to make a lasting difference. Thankfully, the world of dental technology is advancing quite rapidly. New advances in laser technology allow experienced dental professionals the chance to whiten and brighten your smile. TouchWhite Tooth Whitening is a unique and new method to erase dental stains once and for all. The laser technology is fast and efficient. Gone are the days of harsh bleaching techniques that may take months to fully complete and offer noticeable results. Now, TouchWhite Tooth Whitening treatment uses a gentle, yet extremely powerful laser to treat just the exterior of the tooth. The laser will effectively whiten your teeth without damaging any of the roots or gums of the mouth. Confidence – Whitening your teeth will produce immediate changes to your appearance and overall attitude. If you’re less worried about your smile, you will find yourself more confident. Social – With a brighter smile, people tend to show off their teeth more with a big grin. They talk more and hold conversations better. Studies show that smiling more actually makes us happier! Oral Health – This one may be more obvious, but with fresh teeth, you will notice a healthier mouth overall. Laser procedures have advanced exponentially in the dental world, ensuring a guaranteed brighter smile. For more information on TouchWhite Tooth Whitening, contact Highland Park Dental by calling 214-521-3730. We would be more than happy to schedule an appointment for you today! Can Mouthwash Really Replace Flossing? Recently, two six-month clinical trials took the time to compare just how effective rinsing with an antiseptic mouthwash and daily flossing were to fight plaque and prevent gingivitis. Researchers then revealed both studies at the International Association for Dental Research Annual Meeting, where dentists determined that mouthwash was as good as flossing to improve gingival health and plaque removal/reduction. These results were especially true in hard to reach regions of the mouth, including the far back teeth. In both studies, Listerine was used to compare against flossing. Plaque accumulation was reduced by 37.5% using nothing but mouthwash while flossing reduced plaque by 20%. Patients would just rinse their mouth twice per day using the mouthwash. Each patient group brushed their teeth on a regular schedule – twice per day. In addition to plaque reduction, patients who rinsed using Listerine were also found to reduce their interproximal gingivitis levels, meaning their mouth was healthier overall. Just because recent research has shown how useful mouthwash can be does not mean we forego the proven benefits of flossing, especially after a meal. 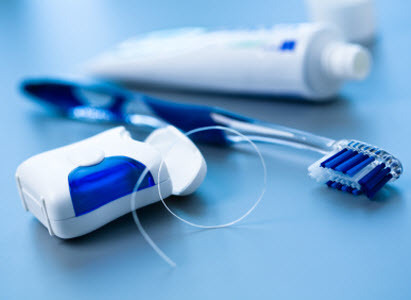 Research has already shown that using floss after each meal, combined with brushing, can remove stuck-on food and plaque that has built up throughout the day. Mouthwash alone cannot eliminate plaque buildup completely, though it does help to break down the substance. For the cleanest mouth and teeth possible, combine mouthwash with flossing to remove the majority of plaque buildup and fight gingivitis before it becomes an unsightly problem. For more tips and tricks to keep your mouth clean, including the use of mouthwash or flossing, contact HP Dental today! Our trained dentists work tirelessly to ensure your mouth is as clean as possible, but remember the job starts with you at home before it comes to our chair. As a dentist, it’s not surprising that I am hyper-focused on dental health, as I should be for the sake of my patients. However, most people have a hard time visualizing how teeth and gums are under constant attack from so many different sources — sugar, acid, bacteria, wine, sports drinks, medicine, grinding, sports… just to name a few. Our teeth and gums are slowly getting worse unless we utilize proper prevention. Tooth decay and gum disease aren't huge issues for most of our patients, as our average patient is 42 years old. But as time goes on and we get older, our teeth and gums will definitely start to show signs of aging, just like the rest of our body. Old fillings start to fail, teeth get more brittle, gums don't heal as well as they once did and problems will start to show up where they might not have in the past. These challenges can be frustrating for both our patients and the clinical team at HPD. Here is my analogy: a person goes to the doctor and is told they have high cholesterol, which is clogging their arteries and could eventually cause heart disease or a heart attack. This person is then placed on cholesterol medicine to help the body get rid of this molecule, hopefully preventing heart disease. But what else does the doctor do? They talk about diet, exercise and steps to lead a healthier lifestyle. If lifestyle isn’t improved, things will get worse — even with medication. Eventually, doctors may have to up the dosage of the medication or integrate multiple medicines. Even with medical intervention, the condition could worsen if the patient doesn't focus more on the daily tasks required to keep the body healthy. The same thing happens with teeth. Flossing, brushing, rinsing, fluoride, diet, and other habits and factors are things that have to be maintained, focused on and improved. Even when patients come in multiple times a year to see us, things will get worse. Sometimes, things get drastically worse and unfortunately we end up being the bad guy. We see our patients 2-3 times a year for the most part. That means the other 360 days are all in your hands to work on these challenges. We are a team that takes care of your dental health and the most important team member just might be you, the reader, the patient. Fillings, crowns, root canals, bridges, and implants all have to be maintained with constant work at home to keep them healthy. People have a hard time grasping that everything in the mouth is trying to be destroyed by something every day, and as we get older, it just gets worse. Unfortunately, our bodies are not like fine wine and do not get better with age! Everything in the mouth gets worse eventually, leading to the need for more dental intervention. Proper follow up, prevention and treatments are necessary, whether we want them or not. Inaction in the dental world really can lead to some serious — and often very expensive — problems to correct. If you have concerns about your dental health and would like to learn more about preventing future issues, please call us at 214-521-3730 to schedule an appointment, or visit our website to learn more about our services. Over the past year, both Dr. Harrington and Dr. Jones have worked tirelessly with laser experts from around the country to train on the new LightWalker Fotona Laser. This cutting-edge dental laser requires more than 100 hours of training, and there are only 400 in the entire United States. Laser technology is truly changing how dentistry operates forever. The LightWalker allows dental professionals to treat common dental issues in less time, with less pain, and without the need for costly anesthesia 80% of the time. Why is the LightWalker Fotona Laser so revolutionary? The technology featured in the laser seeks perfection. The laser allows our dentists to zero in on specific areas to perform complex dental procedures. Laser technology provides experienced dentists a quick and less painful method to treat common dental problems. The LightWalker technology allows our dentists to perform dental fillings without the need for anesthesia 80% of the time. The minimally-invasive tool is quiet and reduces the need for the common dental drill, resulting in far fewer vibrations or ear-screeching noises. 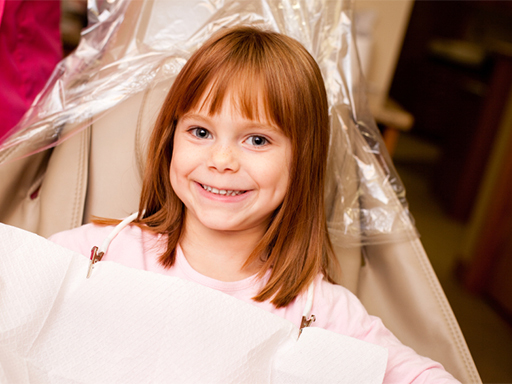 Children who tend to fear the dentist will find the procedure to be more manageable. After 100 hours of training, it is safe to say these above mentioned dental treatments will be a walk in the park – both for your dentist and for you as a patient. For more information on the LightWalker Fotona Laser, contact Highland Park Dental by calling 214-521-3730. We’d be happy to answer any questions you have! Dental Insurance: Do We Even Need It? Having been a dentist and in the dental world for the past 15 years, I have not had the pleasure or the pain of having to seek, find or understand dental insurance from a patient perspective. I’ve never had to research or make decisions about which plans to choose and why. I’ve never had to worry about waiting periods, restrictions, coverage limits, pre determinations, denials — and the list goes on. As a dental provider, honestly, I think I am an excellent dentist that puts the patient’s wants and needs above anything else. That includes the quality of dental care and the experience as well. We all know most people don’t want dental work, but it’s a must and a need. But, I have noticed that over the past 10 years treating patients at Highland Park Dental, I have been spending more and more time away from patients and having to battle, fight and appeal insurance claims. I have seen and heard every excuse from insurance companies as to why they won’t pay a claim or why they won’t approve a procedure. To be frank, it sickens me. Don’t forget that insurance companies are for-profit businesses. How do they profit if they pay out too many dental claims? Why is it that a dental insurance company is trying to determine how, what, when and why you receive dental treatment? There are millions of people out there paying for dental insurance, on average $370.00 per year per person. Most people don’t use any of this except for maintenance cleanings and exams. Then, there are some that unfortunately need dental care beyond the normal cleaning and maintenance. If this is you, you will run into yearly maximum limits of what your dental insurance could pay. Once you hit that maximum, the remainder of that balance is paid by you, the patient, 100 percent. So let’s say you come in for cleanings twice a year and your insurance covered each visit at 100 percent. Then, at Christmas, you break a tooth on your favorite peppermint bark candy. You now need a root canal and a crown because the tooth broke so badly. You will likely have to pay for almost all of that root canal and crown out of your own pocket because your insurance has been exhausted on your other visits earlier in the year. But wait! Your insurance may not even cover the procedure because it may not be seen as “medically necessary.” There is a chance your insurance, which you pay for monthly, will pay for none of this required treatment. My front office team, my hygienists, my assistants and I have personally spent several hours each week writing letters to the insurance companies on the patient’s behalf. We are an honest, ethical dental practice that stands behind what treatment plans we offer to patients. But as time goes on, the frustrations mount when patients are consistently being denied their own benefits. The patient receives letters from the insurance company saying, “These procedures aren’t necessary.” How would they know? Did they meet you? Did they examine your condition in person? No. Why are they trying to determine how you can use your benefits? We introduced the HPD Membership several years ago and only a few people took us up on this offer. But as time goes on, more and more people are actually jumping off the dental insurance boat and onto the HPD membership plan. We have no insurance claims, no denials, and no waiting periods. With your membership, you get Zoom In Office whitening or a Sonicare toothbrush included. You get a discount on our treatment schedule. Your healthy mouth cleanings are covered. I wish we could get all of our patients on this membership plan as it saves patients money, time and energy. It saves patients the stress of dealing with insurance companies that likely don’t care about your finances or health, unless it benefits them. In my opinion, the dental insurance companies are similar to the cable TV business. They are outdated, don’t help you when you need it and aren’t about the customer. Highland Park Dental is a “thinking outside of the box” dental office. This is just one manner in which we separate ourselves from the others. We are looking after you, for you, with this HPD Membership plan. Thank you for reading. I hope you found this piece someone enlightening or educational. I could type until my fingers fall off about how I feel about this subject matter, but yet, I have more insurance claims to fight, appeal and try to win so the patient can use their benefits they have already paid for with premiums. As one of the most common cosmetic dental procedures, many teeth whitening options are available, including plenty of over-the-counter whitening products. However, research has shown that the most effective and safest way to whiten teeth is dentist-supervised treatment. Zoom Whitening has been featured on The Today Show, Extreme Makeover, Entertainment Tonight and more, and is the number one patient-requested professional whitening treatment. Zoom’s popularity speaks for itself! At Highland Park Dental, we feature Zoom Whitening, providing you with a new smile in just the time you’d spend on your lunch break. Currently, Highland Park Dental is offering a Zoom special of $399 (a $599 value) through May 30. In addition, Highland Park Dental is offering a Bridal Special. If five or more bridesmaids in a wedding party sign up for Zoom Whitening, the bride’s treatment is free! Zoom Whitening’s bleaching process is designed to remove discoloration from the tooth’s enamel, stained from things like coffee, tea, red wine and smoking. Typically, the procedure takes about an hour, offering patients immediate results with teeth that are up to eight shades whiter. When the treatment begins, a Zoom light is set on teeth in 15-minute intervals and is often repeated three times. During this time, patients are free to read, watch TV or simply relax! Though most patients experience minimal discomfort during the Zoom treatment, some patients may have some sensitivity or minor tingling. To combat these effects, patients may be offered anti-sensitivity toothpaste before treatment. If you’re interested in Zoom Whitening, take advantage of Highland Park Dental’s current special through May 30! Call 214-731-4666 for details and to schedule your appointment. When we show patients how much better their teeth look following a cosmetic procedure, we still watch them grimace at their before & after photos — not because of their teeth, but due to the lines and wrinkles on their face that may not match their new, flawless smile. When we looked into ways to remedy these situations, we brought in experts to see how they could help our patients. 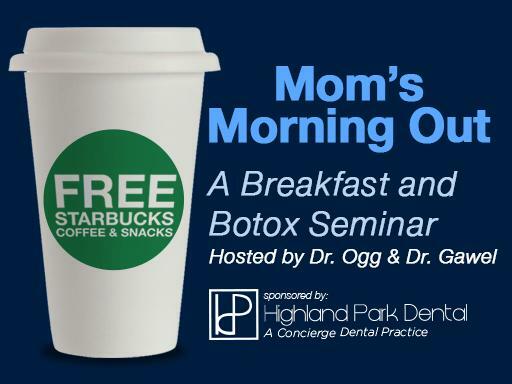 That’s why I’m pleased to announce Mom’s Morning Out — A Breakfast and Botox Seminar at Highland Park Dental. We will host Saturday clinics for those interested in Botox® and Dysport®, with treatments by Dr. Kristen M. Ogg and Dr. Ania Gawel of Boutique Aesthetics. Clinic dates are set for Jan. 12 and Jan. 19 from 9 a.m. to 11 a.m. both days. Complimentary breakfast and Starbucks coffee will be provided. Dr. Kristen M. Ogg graduated from the Ohio University College of Osteopathic Medicine, and is certified with the American Board of Aesthesiology and PALS/ACLS. She also holds a Botox/Dermal Filler/Facial Rejuvenation Certification and an Anti-Aging/Acne Therapy/Sclerotherapy Certification. Dr. Ania Gawel graduated from from Creighton University School of Medicine. She is certified with American Board of Anesthesiology and PALS/ACLS, and holds a Botox/Dermal Filler/Facial Rejuvenation Certification. Dr. Ogg and Dr. Gawel are physicians who personally perform their own assessments and injections. During the consultation they will discuss your needs and desires and formulate a treatment plan that is specific to you. Highland Park Dental has always been able to provide patients with a great smile, and we’re excited to now offer facial treatments by Dr. Ogg and Dr. Gawel to complete the transformation. A limited number of spaces are available for each clinic, so call Highland Park Dental at 214-731-4666 today to make your reservation or reserve online. Everyone has struggled with the dreaded social faux pas of having bad breath. Whether it’s in a social or professional setting, you aren’t going to make a great first impression when people have to hold their breath to even look in your direction. Unfortunately, just avoiding foods like garlic and onions doesn’t always do the trick to combat bad breath. Dr. Aaron Jones from Highland Park Dental has a few dental and lifestyle suggestions on how to battle bad breath, in addition to visiting him for your checkup every six months. “The most surprising suggestions to me were to avoid stress and to blow your nose more often,” says Dr. Jones. “Obviously, stress is something that you want to try to avoid for your mental health, but I never thought about it affecting my breath." According to Dr. Jones, when you are stressed, your mouth tends to dry out, which can cause bad breath. As far as blowing your nose, getting rid of the mucus in your body can only do good things for your breath and the rest of your body. Most of the listed suggestions are not only good to battle bad breath, but are also beneficial to your overall health. “I don’t believe that chewing on parsley or cinnamon gum would qualify for that [overall health benefits], but they definitely both pack a punch in the fight against bad breath,” says Dr. Jones. If you were wondering why parsley — the garnish they put on your plate at many restaurants — is suggested for bad breath, the answer is that it is full of chlorophyll, which kills harmful bacteria that can cause you to have bad breath. To fight more than just bad breath, the healthy life trifecta includes nutrition, exercise and oral care. The good news is that these three things tend to frequently blend together. Take the suggestion of avoiding smoking as an example. “Smoking is bad for your lungs and your mouth. When you avoid it, your likelihood of throat cancer decreases, your breath is definitely going to be better than that of a smoker, and your lungs are stronger and able to handle an exercise regimen,” says Dr. Jones. To help you achieve better oral and overall health, try these suggestions from Dr. Aaron Jones, while making sure to get a dental checkup every six months. Call Highland Park Dental at 214-499-9455 to schedule your appointment. Dr. Erik Harrington was ready to call it a day. Closing time quickly approached at Highland Park Dental, the dentistry practice Dr. Harrington owns in the Park Cities. But before he could get out the door—and to his own child’s soccer game—a staffer interrupted him. A pair of distraught parents and their scared 3-year-old daughter had just entered the office. Could he help? It took him just one look at the girl to know that he wouldn't be making that soccer game. Earlier, she had pulled a glass tabletop on top of her, fracturing her two front teeth. Now, she needed help. Many dentists promise top service—but Dr. Harrington practices it. He didn’t hesitate; when faced with that scared girl, he went to work. One of the fractures was minor and didn’t require medical attention. The second, though, was serious. That tooth was split down its middle and its nerve was exposed. It had to come out immediately. Unfortunately, the patient was only three. There was another option, though. Dr. Harrington has medical privileges at Children’s Medical Center of Dallas. Many pediatric dentists send their after-hours emergencies to the emergency room, letting the residents there handle the issues. He didn’t like that choice. For Dr. Harrington, emergency work is all part of providing comfort to his patients. In addition to the split tooth, his young patient faced a second challenge: No one could find the rest of her fractured tooth. She might have inhaled it into her lungs. To find out for sure, she would need X-rays. Dr. Harrington met the family at Children’s Medical Center where he learned that the family maid had found the missing piece of tooth. He gave the girl a mild sedative, which caused her to fall asleep for about 10 minutes, during which he removed the fractured tooth. The girl’s father remained in the treatment room the entire time. If you want to learn more about dental health and about the special care that Dr. Harrington provides to his patients, call Highland Park Dental at 214-521-3730. The office is located at 6725 Hillcrest Ave. in Dallas. Standing in the toothpaste aisle is a bigger decision than it used to be. Tarter control? Halitosis control? Whitening? Baking soda? Sparkly gel? What really matters when it comes to brushing your teeth? Sparkly Gels, Fun Colors, Snappy Flavors – These are generally designed for visual appeal or for mouth feel. They won’t hurt you, but they don’t do anything special no matter what the box says. Big Wads of Toothpaste – “All those boxes and TV commercials always show someone putting a huge amount of toothpaste on their brush. This is just to sell more toothpaste. In fact, you only need a pea-sized amount,” says Dr. Jones. 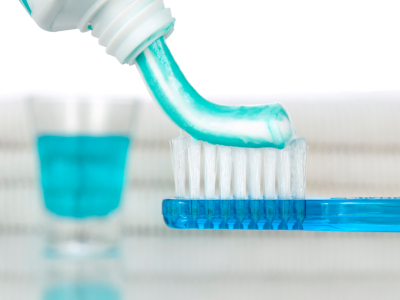 Fluoride – Your toothpaste absolutely needs this ingredient. It makes the tooth structure stronger and more resistant to tooth decay and cavities. Some “natural” toothpastes don’t have it so read the ingredients carefully if you’re not sure. ADA Seal – Not a marketing ploy, this seal assures you that the toothpaste has been tested in controlled and clinical trials to ensure safety and efficacy. “If your toothpaste doesn’t have this seal, put it back on the shelf,” adds Dr. Jones. Triclosan – Found in Colgate Total, this ingredient has been clinically proven by the ADA to fight germs and bacteria for up to 12 hours after brushing. Colgate Total is the first toothpaste that actually prevents and reduces bad breath. “This is a tremendous breakthrough in the field of oral hygiene,” says Dr. Jones. Once you have the right toothpaste for you, don’t forget to floss. No toothpaste or fancy toothbrush replaces the need to floss. 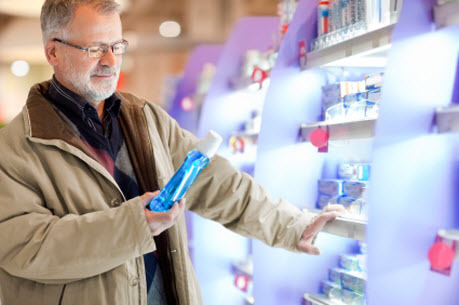 Mouthwash can help kill germs and keep your breath fresh longer. 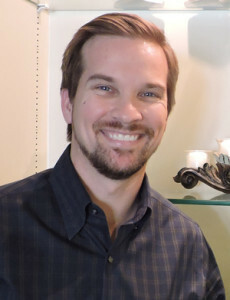 Dr. Jones practices at Highland Park Dental in Snider Plaza. Make an appointment at 214-521-3730 today for your best oral health. Dr. Jones brings his expertise in general, pediatric, and cosmetic dentistry, as well as his dedication to patient satisfaction, to the Highland Park Dental practice. As a dedicated dentist, Dr. Jones brings over 15 years of experience in caring for patients of all ages. We welcome your entire family to visit Highland Park Dental and witness our approach to exceptional dental care and patient experience.